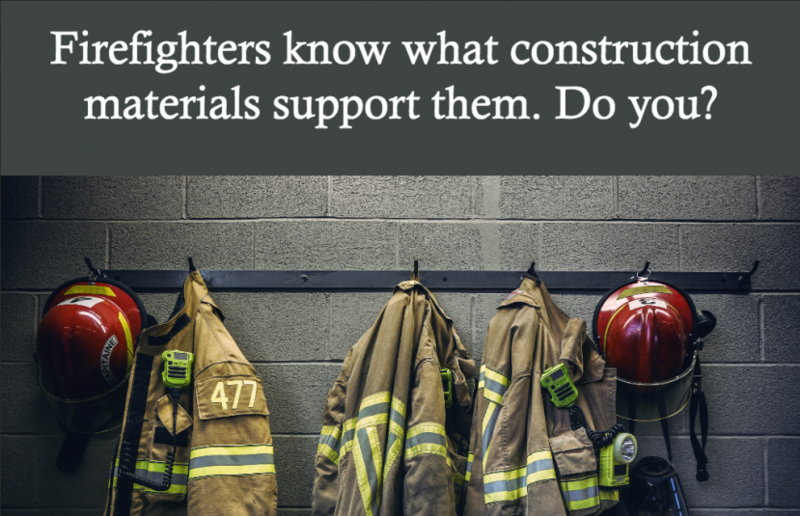 Firefighters know what construction materials support them. Do you? Fires today burn hotter and faster than ever before. Lightweight floor assemblies can now collapse 10 minutes into a blaze — just when you may be arriving and entering the premises. Concrete block helps preserve structural integrity under conditions that often reduce other materials to ashes. We’re working to raise awareness of the need to build with more fire-safe materials like block. Click here to download the new CCMPA “Firefighters Know”Ad.